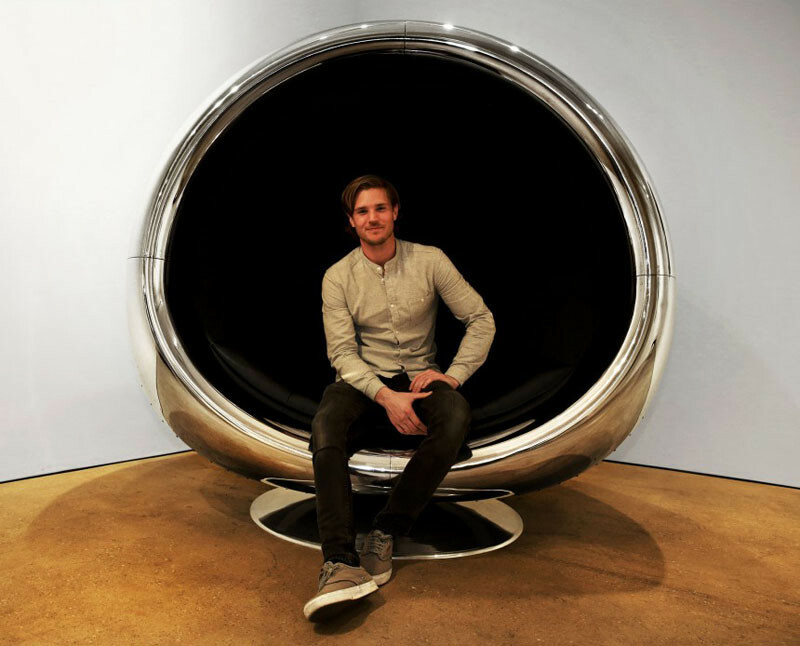 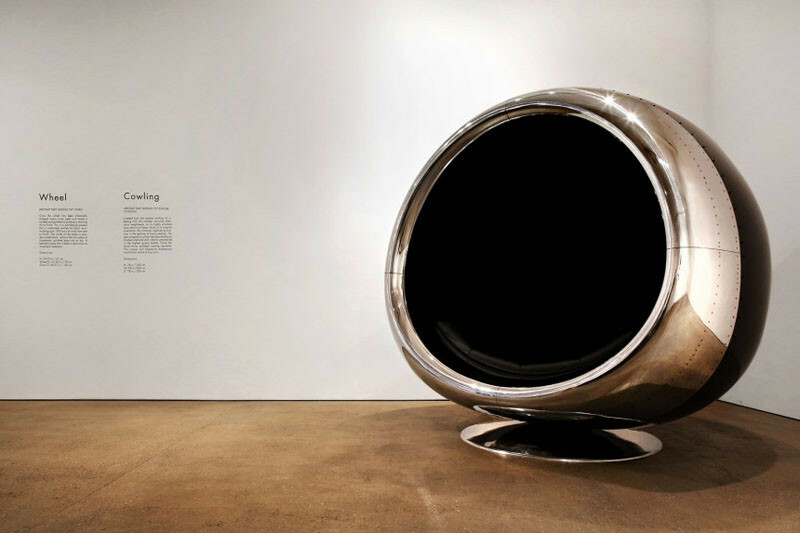 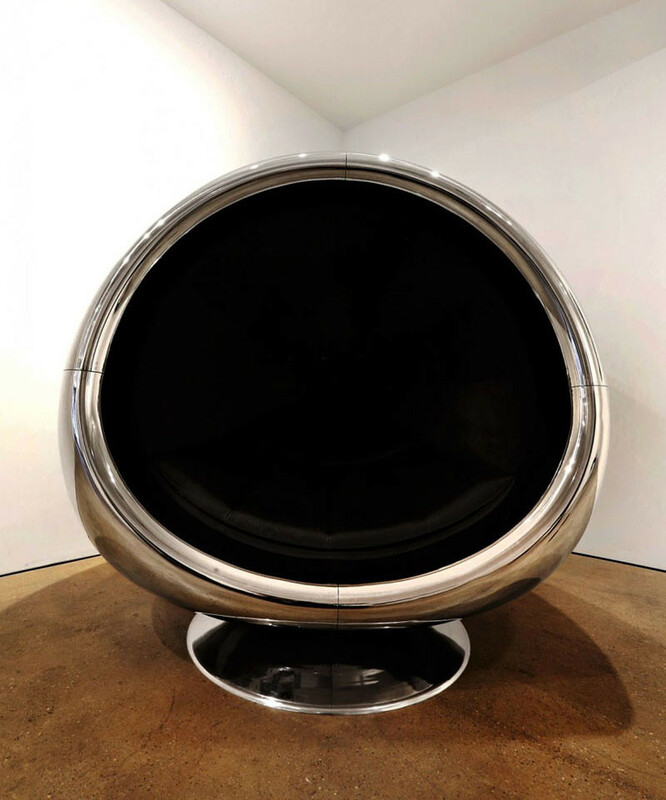 UK-based furniture design company Fallen Furniture, have created a huge chair out of a BOEING 737 Engine Cowling. 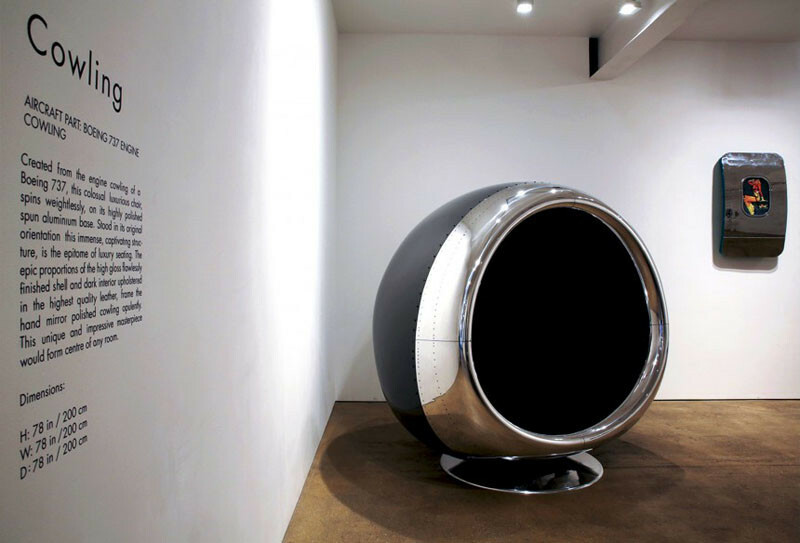 Looking like it belongs in some type of futuristic setting, this over-sized chair, is a pure attention seeker. 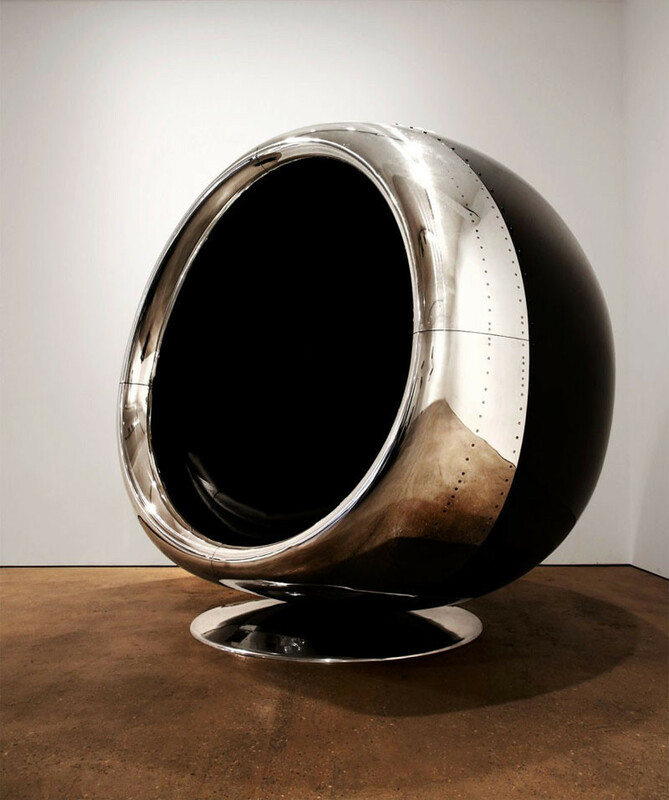 The chair, which can actually spin on its base, has a highly polished exterior shell, and a dark luxurious leather interior.